On February 12th, 2014 the unthinkable happened at the National Corvette museum, Bowling Green, Kentucky. A huge sinkhole opened up in the floor of the Skydome part of the building, taking 8 Corvettes with it. What could have been a stop to the whole building became national news and then an attraction in itself until work could start on repairing the vehicles that were salvageable. The huge hole has been mostly filled in by 2016 now with viewing windows, named the ‘Corvette Cave In: The Skydome Sinkhole Experience’ with a detailed look into the whole incident, but what became of the 8 Corvettes? Five of the vehicles were destroyed beyond repair, with two of them being restored by General Motors. 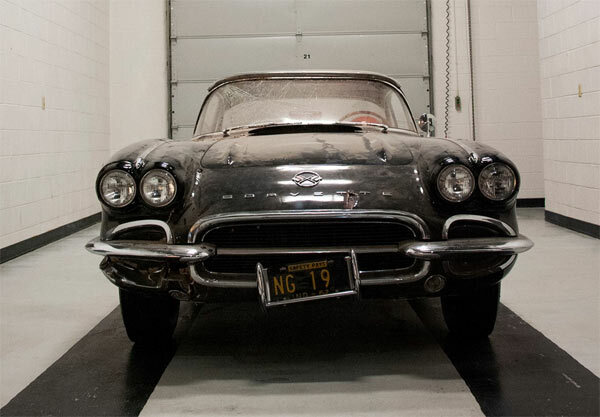 The last to be restored is a 1962 Corvette in Tuxedo black with the work being started in 2017. The restoration process was done by the in-house team of AutoZone Maintenance and Preservation Area, led by preservation coordinator Daniel Decker. The restoration process has been viewable by visitors to the museum with information on the process as the vehicle was slowly worked on over the past year. The Corvette was originally donated to the museum in 2011 by David Donoho who own the car for over 50 years since high school. He took such good care of the Corvette that he was nicknamed ‘The Weather Man’ for closely watching the weather in case of any damage to his beloved vehicle. 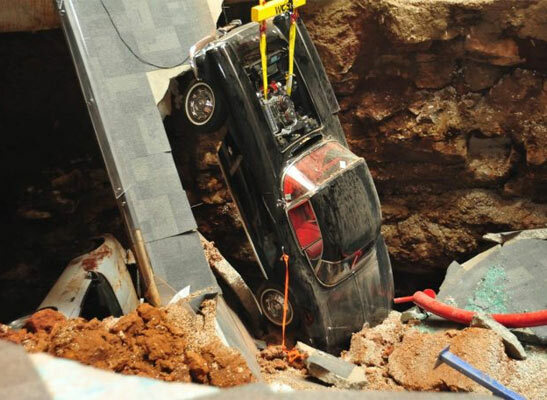 The museum are holding a live viewing on Monday, February 12, 2018 9:00am CT, where the car will be put in its original place, pre-sinkhole with the ceremony being held in the Skydome to mark the occasion.